Alain Graillot has proved beyond a doubt that it is possible to make rich wines from the gently sloped alluvial plain where the Isère River meets the Rhone. His concentrated reds demonstrate all that is exciting about the Syrah grape: black fruit, intense aromaticity, pepper and spice complexity underpinned by crisp acidity and fine tannins. Graillot works organically, harvesting fruit by hand and fermenting in whole bunches. He chooses to age his wines in used barrels, one to three-years-old, purchased from Burgundy’s best estates. 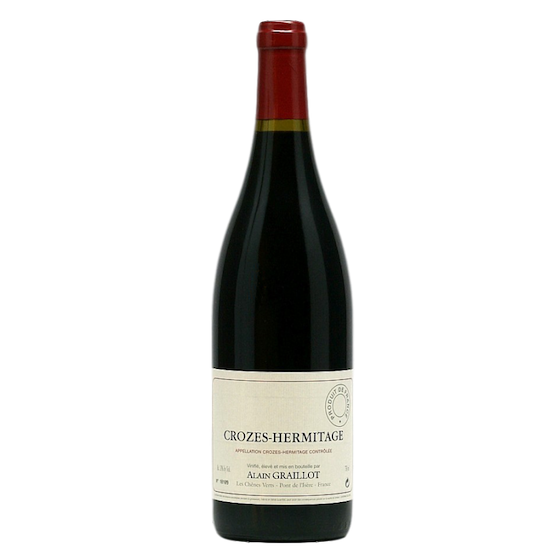 His Crozes-Hermitage is difficult to resist young. Despite the tannins that inevitably come from the inclusion of whole bunches in fermentation, Graillot wines are seldom hard-edged, overly tannic, or in need of extended cellaring. In fact, they are often flat-out delicious very soon after release. That being said, patient their track record for rewarding patient cellaring is exemplary.